The show was something new for Yashere as she doesn’t perform at colleges very frequently and had not been to Maine before. One of the goals for the event was for students to enjoy themselves, but also recognize the relevance of the comedic material and become more aware of bias on Bowdoin’s campus. “I think being able to laugh and hear jokes that really hit on some nerves that maybe you have dealt with as a person [is] another way that you can interrupt bias, so I think comedy has a great role in that. Comedy can be, if thoughtful, very effective in raising awareness of some things [and] making it acceptable to have a conversation about,” said Benjamin Harris, director for the Student Center for Multicultural Life. 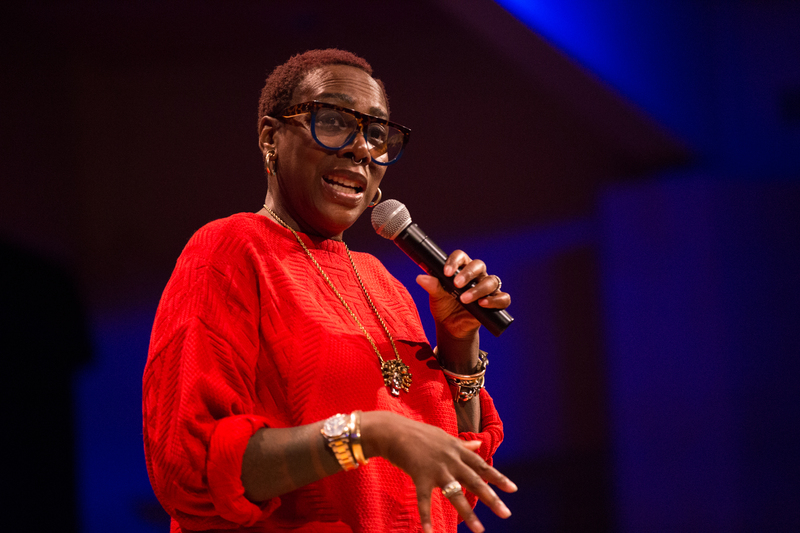 Laughing out loud British-Nigerian comedian Gina Yashere performs in front of a packed Kresge Auditorium Thursday night as part of No Hate November. 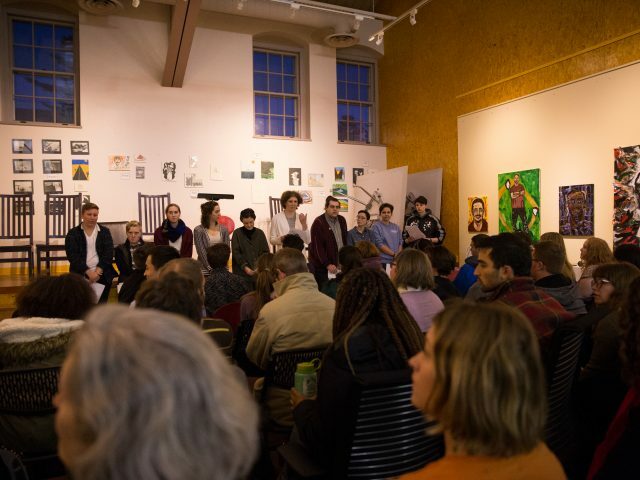 While aimed toward the introduction of critical conversations, the show also promotes more representation on campus and exposes individuals to perspectives that they may not have experienced firsthand. Both Sophie de Bruijn ’18 and Collin Litts ’18 are members of Office Hours improv, and appreciated the diversity Yashere’s performance brought to the Bowdoin comedy scene. “It can pave the way for others to be inspired by comedy and it doesn’t have to be such a white thing. 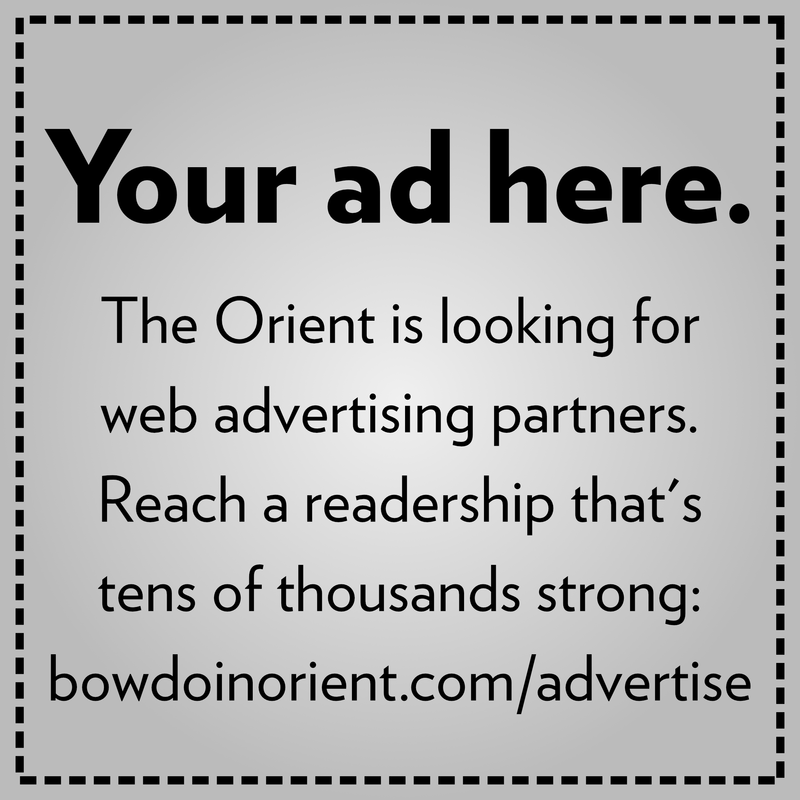 She was so great and I wonder if she will inspire others to participate in the Bowdoin comedy scene, because I know Office Hours improv for instance is looking for that,” said Litts. President of Africa Alliance, Anu Asaolu ’19, said one of the primary reasons she and Harris decided to bring Yashere to campus was because they were looking for an innovative approach to address the main ideologies of No Hate November. The addition of a comedian for this year’s No Hate November programming follows a trend of last year’s keynote speaker, Aasif Mandvi, who approached these tough topics in a lecture style with humor that was more severe. “I think [Yashere] does an incredible job of walking a fine line of being very humorous and funny about really sensitive things but knowing where that line is. 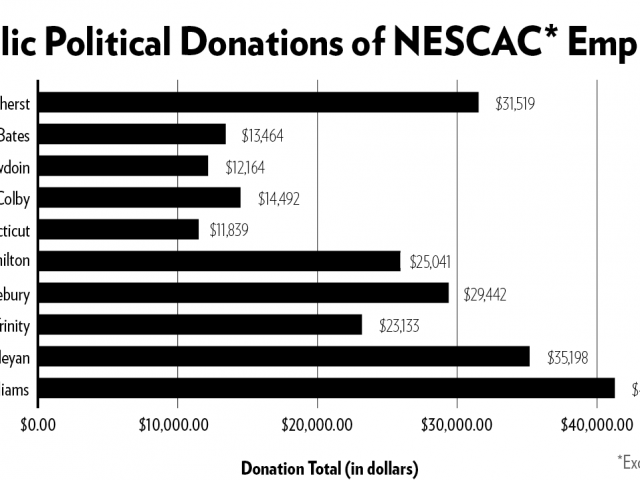 She knows the line, as opposed to Aasif [Mandvi] whereas he said some things last year that were cringeworthy,” said Mohamed Nur ’19, BSG vice president for academic affairs. For Asaolu, Yashere offers a relatable perspective, which she feels not only benefits herself as a woman of color, but most students at Bowdoin. “I’ve been here for three years now, and seeing somebody coming to campus not only to give a talk, but somebody who’s relatable, who looks like me, who’s shared similar experiences and that is good to see as a trajectory—it’s just getting better in terms of trying to raise awareness and increase representation on campus,” said Asaolu. 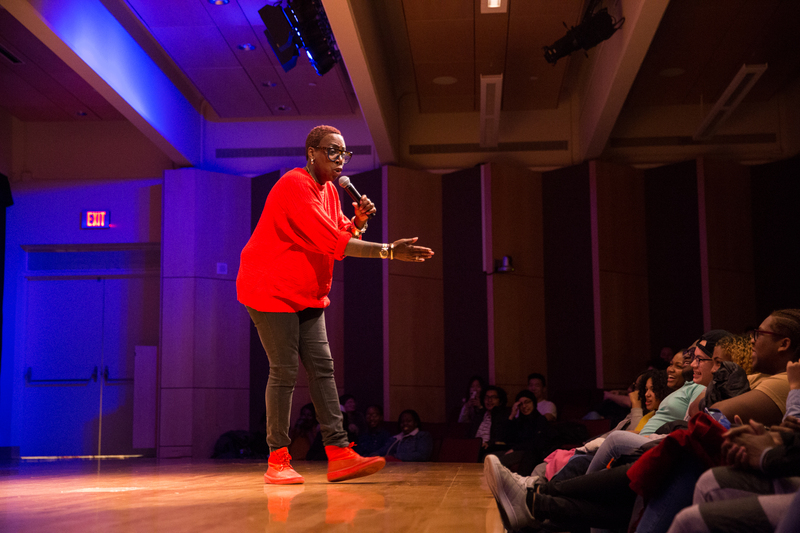 From her playful crowdwork to her prepared material, Yashere’s show succeeded in this goal of being very relatable to Bowdoin students. 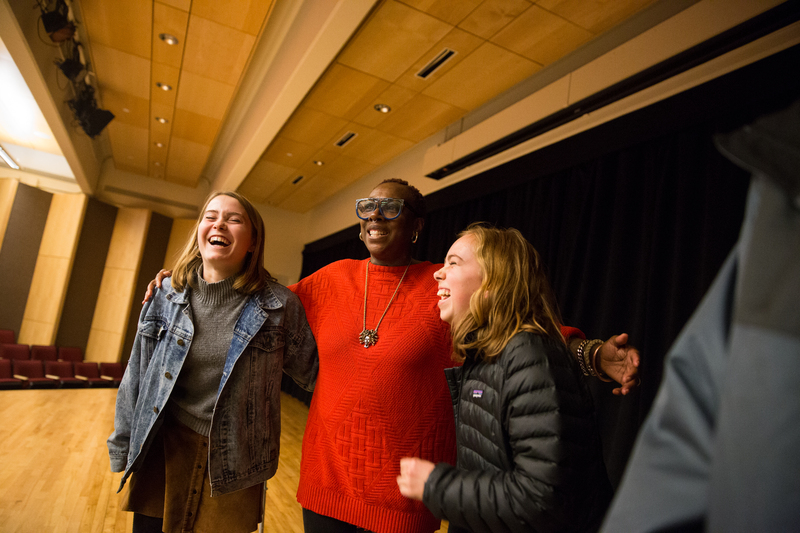 “Her crowdwork was really incredible and I thought it was actually the best part of her show because it really brought her down to the Bowdoin students’ level and was able to speak with us directly,” said Litts.